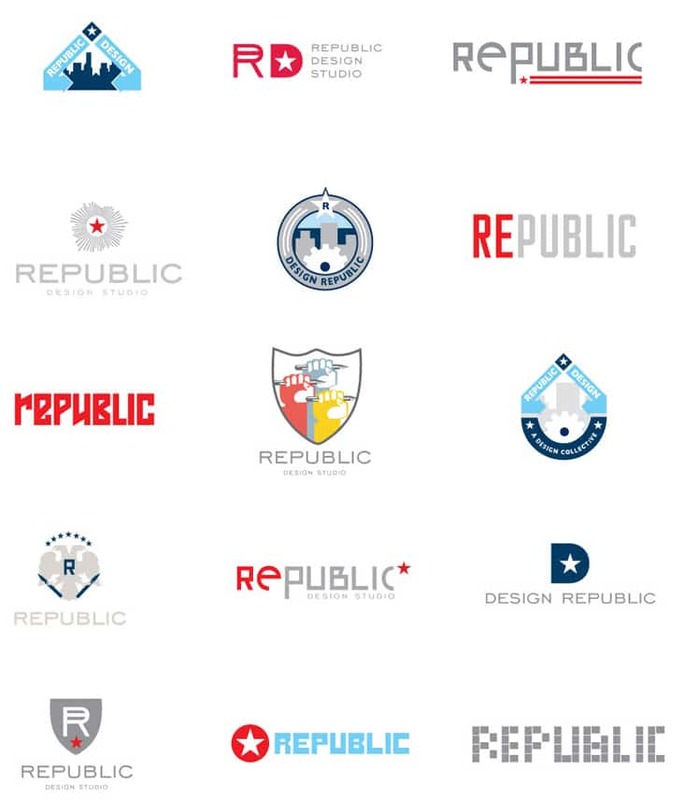 Republic Logo Process « Stitch Design Co. Were in the process of working on a logo for a new design firm who specializes in light commercial and residential design. We thought it would be fun to show you what we presented to the client last week. They’ve chosen a direction and we are in the process of refining it. We’ll be sure to share the final logo with you soon! It's so nice to see a studio sharing their process. As a student I find this incredibly valuable. Thanks for sharing and I look forward to seeing how it unveils. What an exquisite range of logo designs! I'm impressed!